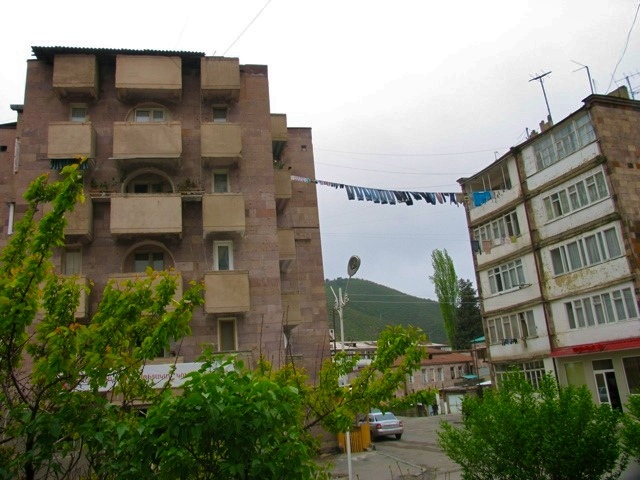 [Web Wrap]: Stressful Driving in Yerevan. I will have to say that the only time I seem to experience stress nowadays is when I am behind the wheel. With the supposed 400,000 vehicles on the road in Armenia, excluding countless vehicles registered in Georgia but constantly cruise Yerevan’s chaotic streets, it’s an ordeal to get around town, especially when no one watches where they’re going. Drifting from lane to lane without signaling or looking in the rearview mirror is a normal thing. The only way to deal with it is to employ defensive driving. For some reason right turn signals have been installed at busy intersections, so now I find myself having to avoid getting into a collision with taxi drivers who drive recklessly, throwing caution to the wind by turning without looking to the left. Please continue reading on The Armenian Observer Blog. [FAR Schools]: Holiday in Yerevan. Below are some photos taken by our staff at the Last Bell Holiday festival in Yerevan on May 21. Six graduates of the Hintlian School along with their teachers and parents were able to join in the fun thanks to the support of the Constantinople Armenians Relief Society (CARS) which helped to cover their travel expenses. FAR in collaboration with CARS last year made major improvements at the Hintlian school, including providing stipends to children in need and also to selected graduates to help fund their college education. You are currently browsing the FARs Blog blog archives for May, 2010.